« Sunday is a three-ring circus! 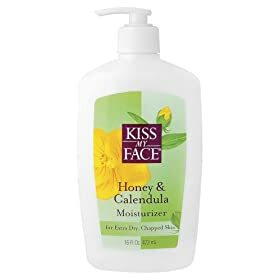 #1 – Honey & Calendula Lotion by Kiss My Face – This is the only lotion that hydrates my parched skin. I’ve never found anything that works better. I only wish that they sold this lotion by the gallon. 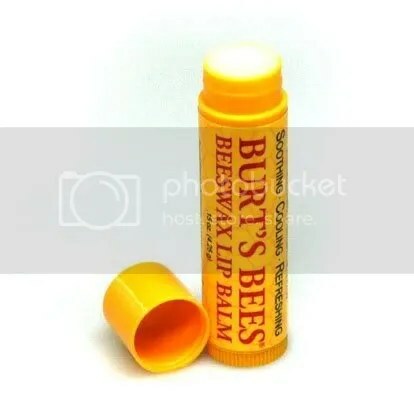 #2 – Burt’s Bees Lip Balm – I have at least five tubes floating around. There’s one that I keep in my purse, one in my makeup drawer, one in a kitchen drawer, one in my van, and one that will reappear at a moment’s notice…eventually. This stuff is awesome and can now be found at Walmart. #3 – Frownies – These things are miracle workers. Seriously. Cheaper than botox and just as effective. I have this stubborn deep wrinkle between my eyes caused by refusing to wear reading glasses and from being constantly confused. They look like little stickers on brown paper that you wet and stick on the wrinkle. After three hours, the wrinkle begins to disappear. I love these things. Finding them is the hard part. I’ve only found them at Steinmart. Good luck hunting them. # 4 – Trapp Candles (especially No. 13 – Bob’s Flower Shoppe) – I love good candles. I burn them every day. I’m not joking. I like for my house to smell wonderful. I’m not a big fan of candles that smell like food (apple pie, pumpkin, coffee, peaches), but I’ll burn them when I have nothing else. I do love lavender, sage, woodsy scents, etc. I think Trapp has the best arrangements of scents when it comes to candles. Bob’s Flower Shoppe reminds me of a flower shop that I used to frequent when I was in college. I’d step in on a Friday afternoon and buy a little bouquet of fresia and stock flowers to arrange in vases throughout my little apartment. It always smelled so good. Trapp Candle No. 13 is perfect for spring time. Lemongrass really smells great for summer and Water is wonderful for anytime. #5 – Target – Surprise! Yes, I know I started out this blog saying that Whole Foods was so wonderful, yada, yada, yada. Well, I have to admit that Target is one of my most favorite things/places. As a stay-at-home mother of three small children, I don’t even have to explain why I love this discount chain store. The prices are great, but I never, ever, ever feel cheated when I buy something from here. It isn’t like going to Walmart. In fact, I hate going to Walmart so much that there are times when I’d rather stick needles in my eyes than go there. Target is different in that I really don’t mind buying clothes, makeup, shoes, underwear, anything really…from there. The quality isn’t bad and the stuff is just downright cute. Target is a happy place. Where else can I get a Starbuck’s coffee while I shop? Not bad. If you are concerned with all-natural things (whole foods), you should know that all lotions require a preservative, unless it is kept in the refrigerator – and then it will still go rancid due to the water contained in all lotions. There is an alternative – the lotion bar. We have a small farm and we grow most of our own foods (due to health issues with our youngest son), and we raise bees and dairy goats. We make our own soaps, lotions, lotion bars, lip balms and other things. Friends and neighbors have told us that they really like what we make, so we started selling them. We are the first company in Kentucky with a home-based cosmetic manufacturing license. We have newsletters and blogs about health, farm life, etc., and enjoy educating people about the foods they eat, the skincare products on the market and the potential risks from unnecessary “additives” which large companies use hi their products. Thanks! I will definitely go to your website. I’d like to find out how to post a link to your site on my blog, but I’m not sure how to do it. I will try to figure that out.